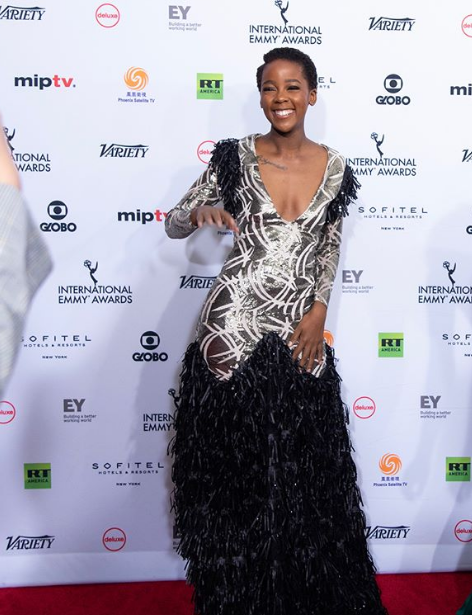 Local actress Thuso Mbedu attended the 46 International Emmy Awards on Monday in New York City. The 28 year old was flying the Mzansi flag at the prestigious awards as she was nominated for the second time in the best actress category for her role in Mzansi Magic's Is'thunzi. Although she did not manage to bring the award back home as it went to Germany's Anna Schudt, the Is'thunzi star still made the country proud. “Yoh! I’ve never been happier,” she shared on social media, “African artist: the world is your oyster. Keep pushing, keep fighting for your passion. I dare you to be the first POC to fetch that award. Thuso walked the International Emmy red carpet in a dress designed by new kid on the fashion block Kenste Masilo who won Project Runway SA.